May 17: Join Anita for an evening event at Megalomania Bar & Bistro in Yeppoon hosted by Busi Women Inc. Tickets here! May 18: Join Anita at the Rockhampton Regional Library, 230 Bolsover Street, Rockhampton City for a FREE author talk. For more info click here. May 31st: Anita will deliver the NRW keynote address for the City of Melbourne. June 13-15: Anita will be appearing at the Big Sky Readers and Writers Festival, Geraldton (WA). June: Anita will be presenting a keynote address at the Aboriginal Early Childhood Conference, Sydney. July 18: In conversation with Anita at Logan City Library. July: Anita will be writer-in-residence at Geelong Grammar School. November: Anita will be an EXC In-Depth Presenter on the cruise ship Maasdam (Holland America). Anita was wonderful and engaging sharing her writing experiences and providing opportunities for participants to engage in creative writing activities. Would definitely engage this speaker again. Anita was invited to speak at our end-of-year meeting. She was amazing! It was great to have an Aboriginal leader and writer to speak to us and her talk was really engaging. 80% of staff surveyed after the day said Anita's talk was the best part of the day. Anita's after dinner speech kept the audience engrossed and inspired many in the audience - great work. Anita's speech was informative and engaging, and her enthusiasm and warmth is infectious. We have received many very positive responses to her talk at our staff conference last week. 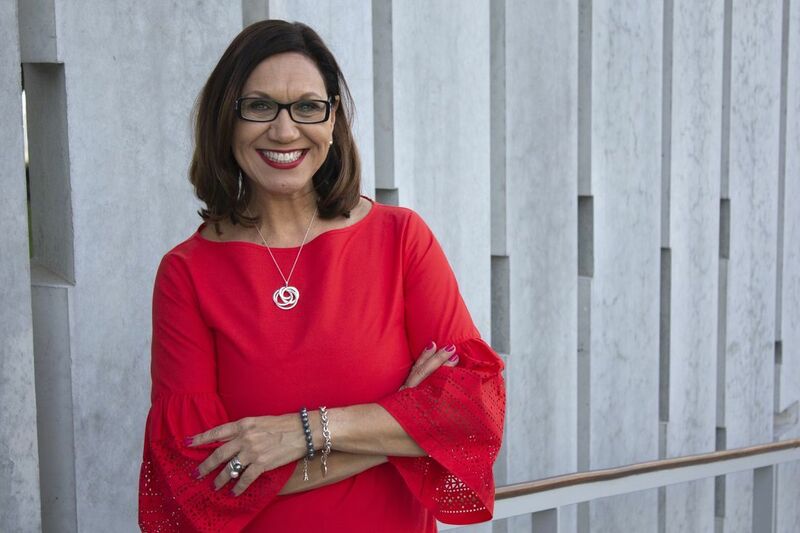 Dr Anita Heiss bought her expertise, knowledge, and verve, as MC and co-convenor of a significant Professional Development event for teachers at The University of Queensland. The teachers learnt how to appropriately use Aboriginal and Torres Strait Islander stories in the school context. Almost 100 teachers unanimously praised Anita’s contribution to the day’s activities. Working with Anita is a very rewarding experience. Anita was fabulous. She was engaging to all audience members. Strong, articulate, humorous and deadly! Would more than recommend her to others and book her again. Well researched and well thought out speech very appropriate for the occasion, and extremely interesting to our audience. It was perfect. Anita's presentation exceeded our expectations. To book Anita as a guest speaker to address a conference or festival, to speak to your staff, MC your event or run workshops in your school or community, please contact Sandie Fraser on email at Speakers Ink! VIRTUAL AUTHOR VISITS: Anita also does Skype visits to schools and these can be booked through Speakers Ink!